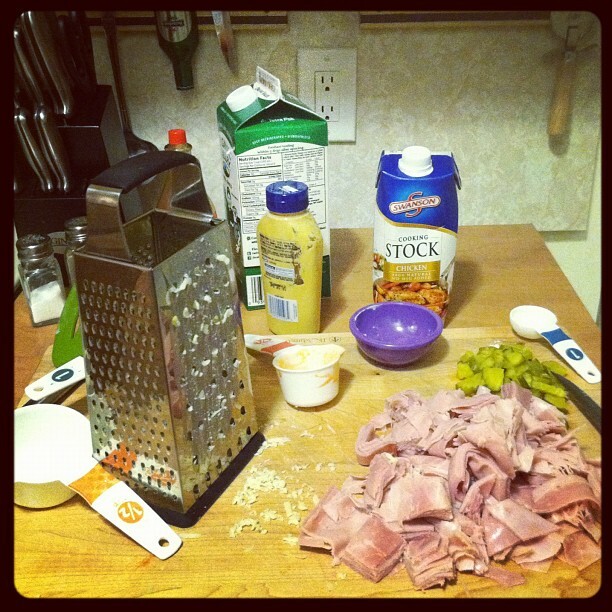 This is a great one, it is rich and cheese with the flavor profile of a Cuban Sandwich–mustard, pickles, ham, hot sauce. The recipe is much better with Gruyere cheese, if you can find it. I have made it with Swiss the past few times I have cooked this one, but it just doesn’t quite have as great of a taste. Swiss is an acceptable substitute even if it is blander then Gruyere. The prep for this is one is pretty easy. I basically had everything ready to go and the cheese sauce finished by the time the water boiled and cooked the pasta. 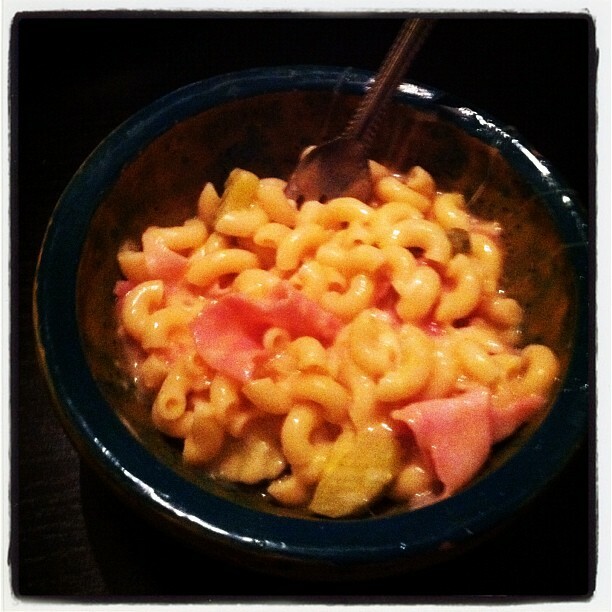 Pickles and ham might sound pretty strange in a mac and cheese, but trust me, this one is worth making. There is crunch, there is spice, it is a perfect dish for a warm winter night.